Serving as a medical intuitive for the past twenty-five years, Josephine Laing has performed thousands of readings for people from every continent of the world. In these podcasts, taken from her weekly radio series, Josephine guides listeners on how to nurture their own psychic ability with the help of her co-host, Anthony J. Taylor. Whether you wish to connect with your inner guidance, explore past lives, do divination, or just feel a greater sense of safety in the world, developing your psychic ability is a good idea. This natural human skill is as easy to learn as driving a car. 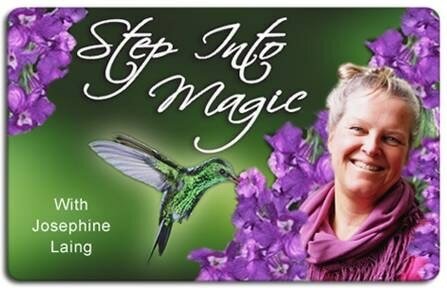 Join Josephine as she helps you develop your psychic ability, deepen your spirituality and find your own true purpose in life. You can also access these shows from the "This Month's Shows" page or the show "Archives" page on this website. Enjoy!